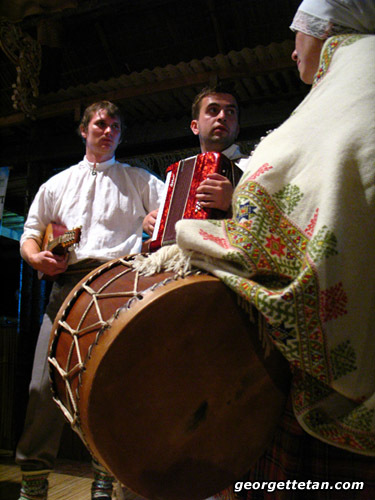 Ceiruleits of Latvia at the recent World Harvest Festival. We met them at Spring about a week ago, I think. It took a lot of hand signals on my part to get them to understand I loved their costumes and then to ask them where they were from and what they were doing at Spring.